On December 5, Wednesday, King Carl Gustaf and Queen Silvia held a diplomatic reception for newly appointed ambassadors from Finland, Paraguay, Bulgaria, Mozambique, Sudan and Austria. 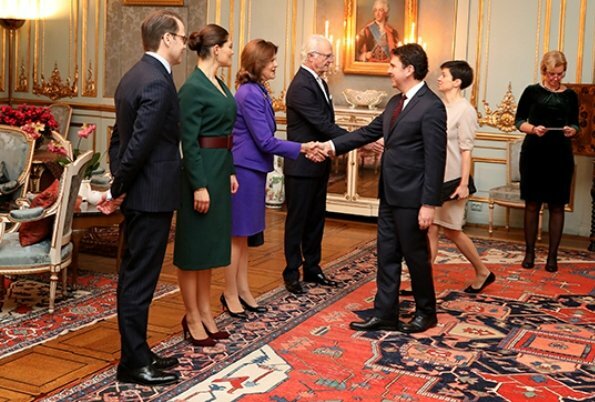 A few times in a year, a reception is held for newly appointed ambassadors and their spouses at the Royal Palace. The Crown Princess and Prince Daniel also attended the diplomatic reception held on Wednesday. Ein sehr schönes Kleid in einer wunderbaren Farbe. Slightly too long on her, but still a very nice dress. 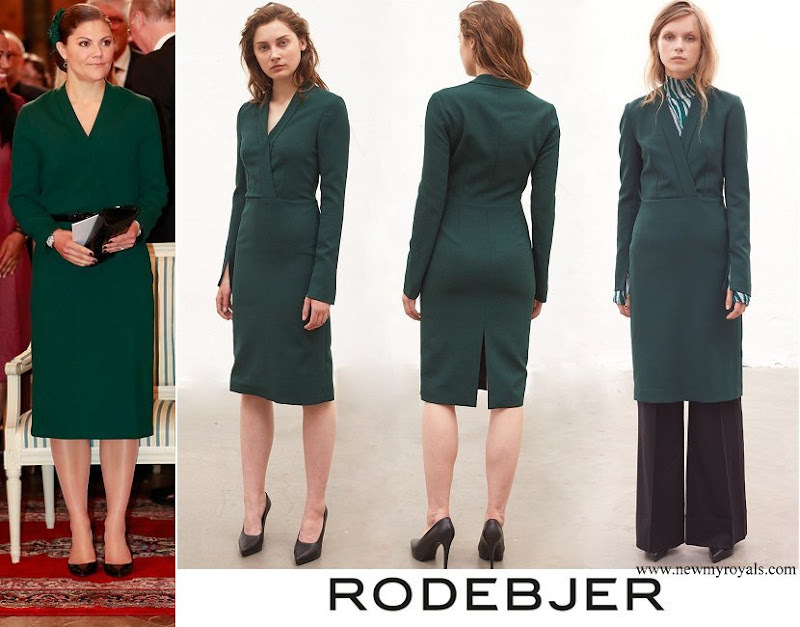 The wine red accessories are lovely, much better than the black once she chose for a previous occasion. Queen Silvia looks great in purple! A lady who has lovely hair and always seems to wear it well. Everyone looks very nice love Victoria's dress.